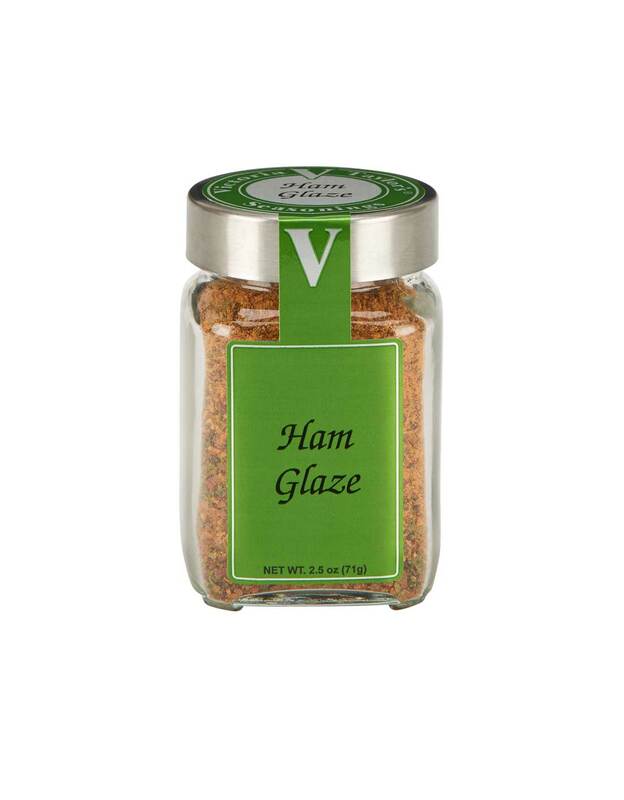 Victoria has developed a blend for making a quick and easy glaze for holiday ham. The simple recipe calls for combining the ham glaze with water and honey and applying at the end of the cooking process. The result is a delicious glaze with flavors from honey, maple, clove, and cinnamon with a hint of spicy heat. Baked Ham: Mix together 1/2 jar (4 Tbsp.) Ham Glaze with 2 Tbsp. honey and 1 1/2 tsp. water. Bake ham (5-6 pounds) according to directions. 30 minutes before ham is finished, apply glaze. Gluten free, sodium free, no msg, and free of any peanut products.